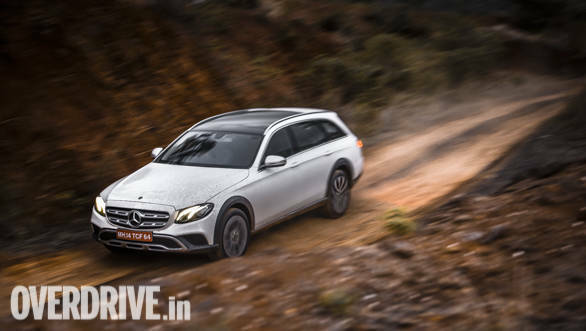 Mercedes-Benz has launched the E-Class All-Terrain in India at a price of Rs 75 lakh (ex-showroom India). 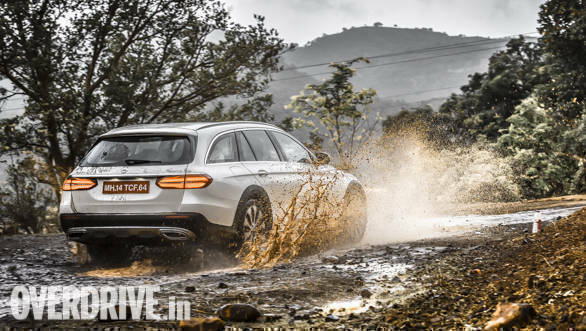 We have already driven the Mercedes-Benz E-Class All-Terrain and you can read about it here. To give it its off-road capabilities, the All-Terrain employs the Air Body Control air-suspension from Merc's kit, which gives it the ability to ride 15mm higher than the coil-spring setup. A further 14mm gain in ride height comes courtesy of the 245/45-section tyres shod on 19-inch rims. It comes powered by the same 2-litre turbo diesel as the sedan, which produces 194PS and 400Nm. This engine is BS-VI compliant but is also equipped to handle BS-IV fuel. It comes mated to the 4Matic AWD giving its better functionality in low-traction scenarios off the road. Despite its enormous visual length, the All-Terrain still sits on a shorter wheelbase than the LWB saloon variant sold in India. The All-Terrain wears matte black cladding around the wheel arches and bumpers, and dons scuff plates on all sides for protection against debris that gets kicked up on trails or broken roads. While the E-Class face is familiar, it has a chunkier perforated grille that comes from the GL line-up. At the rear, a wide chrome bar on the tailgate and elongated wrap-around taillights give the All-Terrain a wide-bodied appearance to visually counter-balance the higher ride height.